The expansion, the largest in the 40-year history of the department, comes in the context of rapid growth in student enrollment in computer science, which is now the largest undergraduate concentration at Brown. The plan also reflects a recognition of the ever-expanding role of computation in the modern world. Locke added that the strengths of computational research—particularly at Brown—are well aligned with the areas of integrated scholarship identified in Brown’s strategic plan, Building on Distinction. Ugur Cetintemel, a professor and chair of computer science, says the department’s CS With Impact expansion will have far-reaching benefits to the University community as a whole. After its founding in 1979, the Brown Department of Computer Science quickly established itself as one of the top departments in the nation. Brown faculty members have made pioneering contributions in a wide array of research areas including computer graphics, object-oriented programming languages (a paradigm that gave rise to modern computer languages like Java and Python) and databases, and the synchronization of programs in multi-processor computer systems. Brown alums have gone on to chair computer science departments around the country, including powerhouse departments at MIT and the University of Washington, and hold top jobs at industry giants like Google, Intel and Microsoft. Interest in computer science among Brown students has skyrocketed in recent years. In 2010, Brown awarded 48 undergraduate degrees in computer science. In 2018, that number was 248. For the 2018-19 academic year, 588 students have declared a concentration in computer science — one-sixth of the undergraduate population. Yet in a rigorous Open Curriculum environment that encourages undergraduates to study what they love and architect their own education, interest extends well beyond students who have chosen a specific focus in computer science. More than half of the undergraduate Brown student body took at least one computer science course during the last academic year. Junior Eleanor Avril’s journey into a computer science concentration is similar to that of many of her peers. When she arrived at Brown, she hadn’t considered CS, but like many of her friends, decided to take an introductory CS class. She was instantly hooked by the problem-solving aspect of the classwork, she says, and intrigued by how broadly CS tools could be applied. That broad applicability is a motivator for many new CS concentrators, Avril says. “There’s a definite sense that you can take computer science and apply it in some way to almost any other area,” she said. “I know a lot of people who are studying computer science and visual arts, because they’re interested in design. I know people who are doing natural language processing because they’re interested in linguistics. There are so many ways to apply CS, and I think it’s very compelling for students. “Having the problem-solving ability and the technical background is useful even for people who don’t end up going directly into software engineering,” Avril added. The addition of 15 new professors and lecturers will help meet student demand for a broad selection of classes, keep class sizes in check and ensure that undergraduates have ample opportunities for research in collaboration with faculty. The five lecturer positions will be dedicated to teaching. The 10 tenure-track positions will have teaching and research responsibilities. Cetintemel says the tenure-track hires will bolster existing and emerging strengths in the department in areas like artificial intelligence and robotics, digital liberties, computer education research, and visual computing with a focus on societal impact. The Center for Computational Molecular Biology, where computer scientists are helping to understand the genetics of human disease and evolutionary biology. 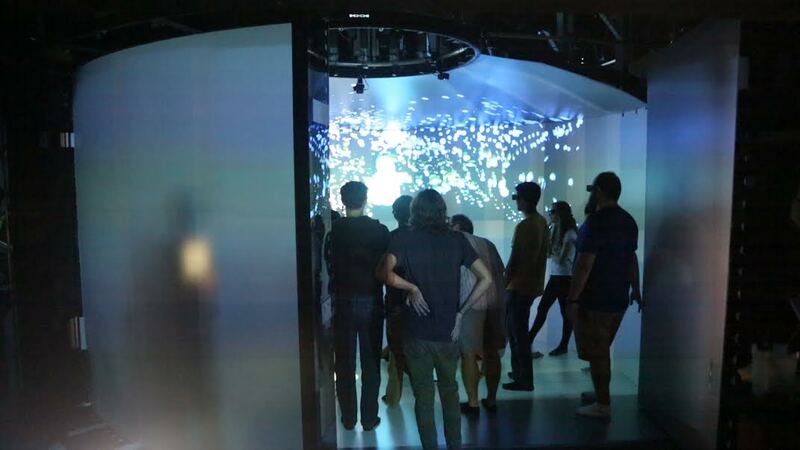 Computer vision experts have built the YURT virtual reality theater, which is helping geologists investigate potential landing sites on Mars, physicians to visualize human anatomy and artists to explore new avenues of creative expression. In the Data Science Initiative, researchers are building new tools to make the analysis of large datasets more reliable. The work aims to limit the false associations and discoveries that can arise in big data. Through the Humanity Centered Robotics Initiative, roboticists and artificial intelligence experts are working with researchers from psychology and other fields to help make sure robotic technology is used in a way that ultimately benefits humankind. Work includes the development of an AI-enabled robotic pet for seniors, as well as efforts to make robots better at working collaboratively with people. Brown faculty members have been instrumental in the development of Bootstrap, a middle school curriculum in which students create their own video games while learning critical math and coding concepts in the process. The Bootstrap team has partnered with educators around the nation to integrate the curriculum in hundreds of schools. Cetintemel says that the CS With Impact expansion will enhance these existing projects and create new programs. 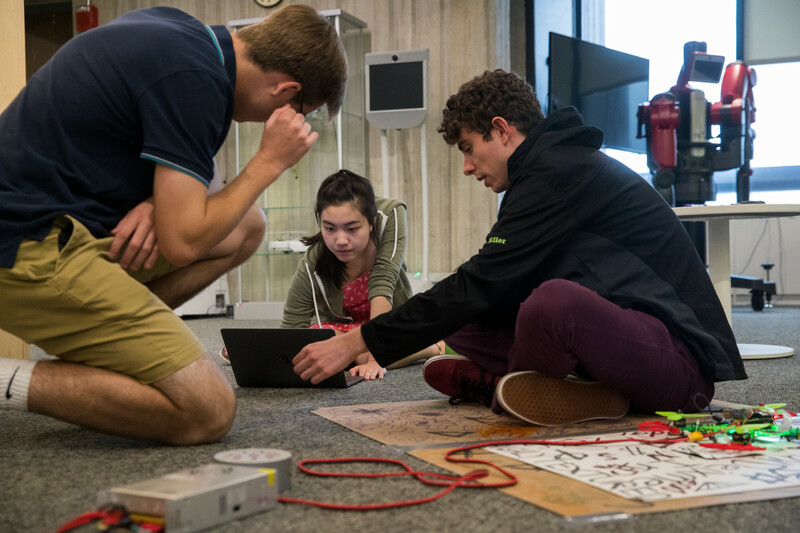 Expanded research also means more opportunity for students at both the graduate and undergraduate levels, as student research is a hallmark of the Brown CS education. Cetintemel says the initiative also aims to increase alum engagement and fundraising for the department, expanding upon recent successes. In May 2018, the University successfully raised $10 million in support of the department’s Undergraduate Teaching Assistant program. A cornerstone of the Brown CS education, the program engages experienced students to help teach their peers. 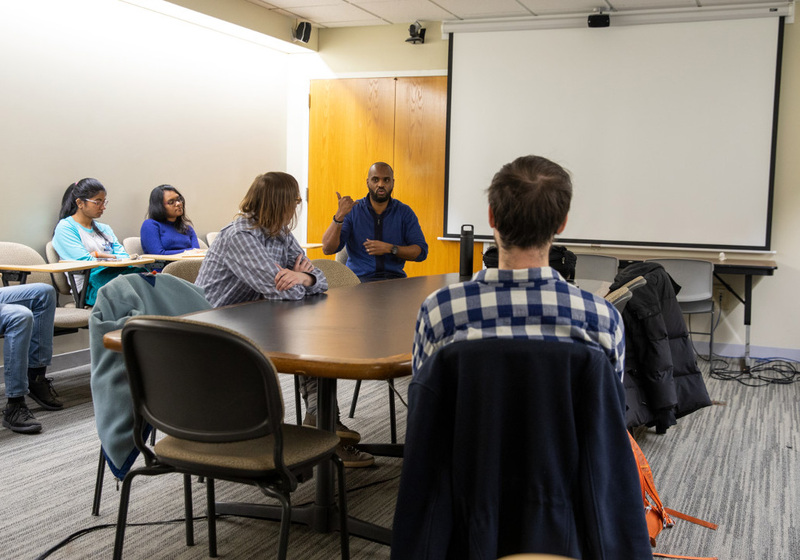 The department hopes to build on the teaching assistant fundraising success by raising additional funding for named faculty positions and research programs. Ultimately, Cetintemel says, CS With Impact is centered upon making sure that Brown students will be intellectual leaders in bringing data and computational tools to address the problems of the 21st century.